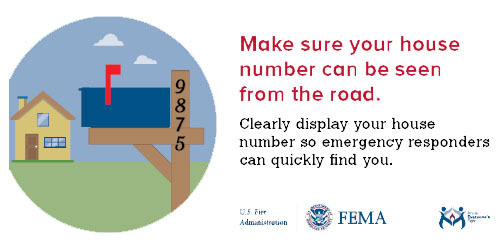 Display your House Number !!! Having address number displayed on BOTH SIDES of your mailbox Having address number visible from the road Having numbers large enough to be seen at night (4 inches tall and reflective is ideal)! Consider installing a flashing light switch for your outside light. Valuable time is lost if we pass by your home and have to turn around and come back or search for your number.